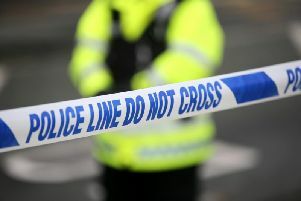 Police have thanked the community for their patience after a suspicious object was found in the front garden of a home - and it was later declared a hoax. Police attended the scene of a security alert in the Fergleen Park area of Londonderry shortly before 10.30pm last night. Fergleen Park was closed, and homes evacuated, whilst the object was examined by ATO. Following a controlled explosion the object was later declared to be a hoax. This has been taken away for further examination. Residents were permitted back to their homes shortly after 3am. Inspector McManus said: “I would like to thank the local community for their patience as officers worked through the night to ensure their safety. "I would also appeal to anyone who saw anything suspicious in the area or who has any information which could assist with our enquiries to call police in Strand Road on 101 quoting reference number 1774 03/06/18.